Following on from our successful ‘Hen Party’ we are hosting our first Poultry Day. This will be an opportunity to meet poultry keepers ask questions, do some poultry purchasing and buy your poultry essentials from Margaret of The Mobile Pet Shop. 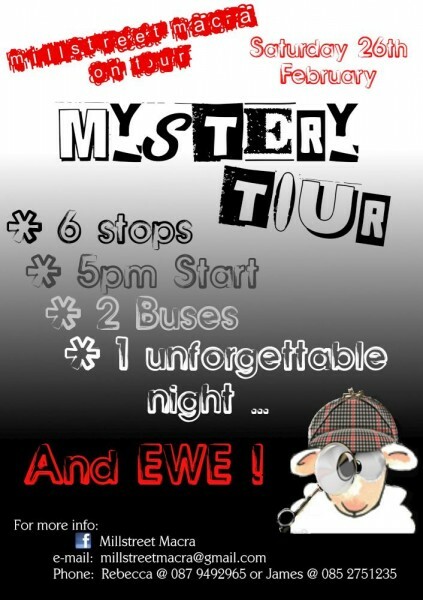 Come along don’t be a chicken…………. Where possible please car share. Cullen N.S. 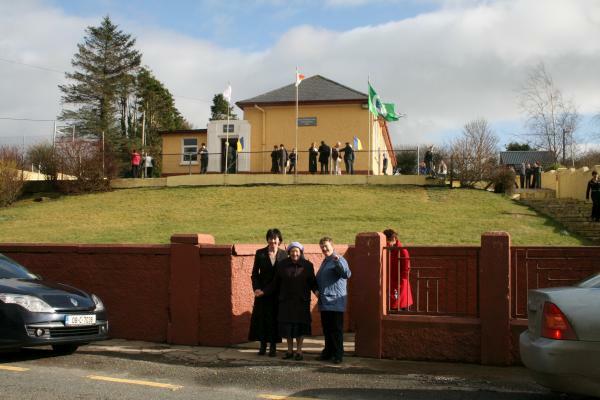 pictured on 6th March 2009 when Minister Batt O'Keeffe officiated at the Green Flag Award ceremony in the School. 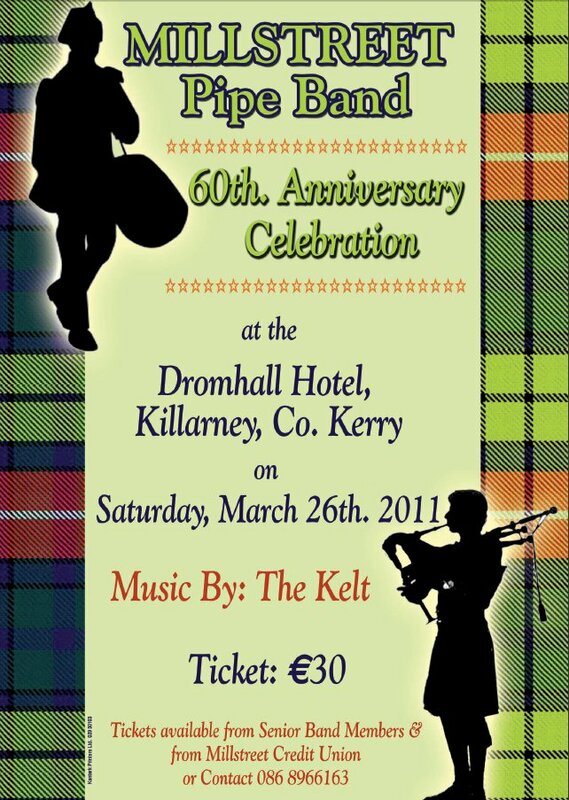 Millstreet Pipe Band will be having a 60th Anniversary Celebration at the Dromhall Hotel, Killarney, Co. Kerry on March 26th 2011, with music on the night by the Kelt. 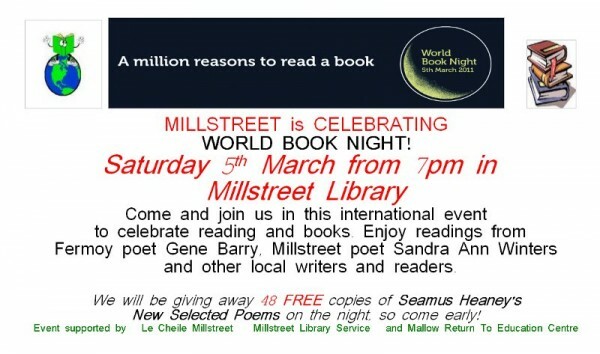 This is an opportunity for the Millstreet Community & for past members to join in with the celebrations of the band. 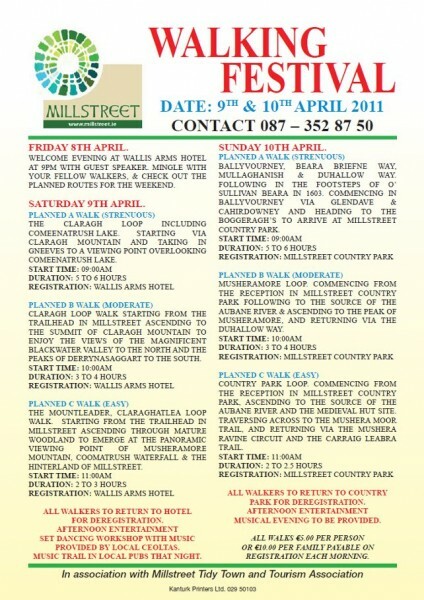 This Patrick’s Day marks 60 years playing in the Millstreet St.Patricks Day Parade, and that 60 years is a huge achievement because it is 60 years of unbroken service, the kind of which is rarely seen these days. There are two members of the first Se.Patricks Day Parade still playing in the band for the 60th Parade this year. Is this a record, for 60 years of unbroken service? Sam Maguire Cup will be in Aubane school on Tuesday (22nd March) night at 8pm. Great opportunity for all family to get close up to and get photo opportunities. 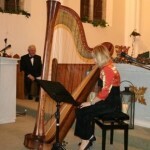 A separate competion will be run on the day where there are sufficient Competitors for one particular instrument. 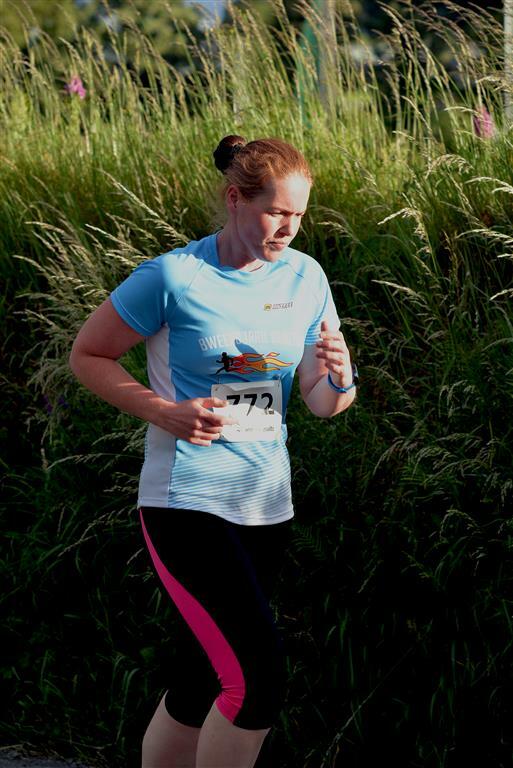 where there at least three competitors. 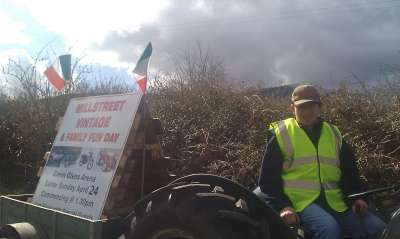 The Millstreet Vintage and Family Fun Day will take place at the Green Glens on the 24th of April 2011. More about this exciting and fun filled day later. A final Reminder That the Macra Mystery tour is on this Saturday night Feb 26th. 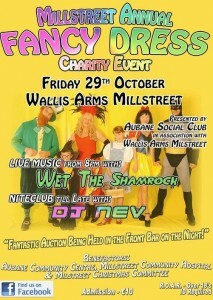 Tickets are selling fast so please book your tickets fast so not to miss out. 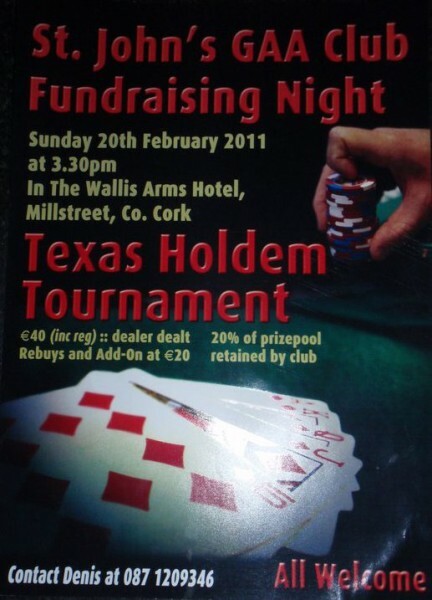 Tickets are priced at €20.00 and are available from James @ 085 2751235 or Rebecca @ 087 9492965. On February 26, March 5 and 12th 2011. 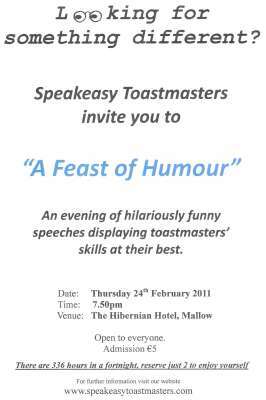 Phone 029-22605 to book a place. 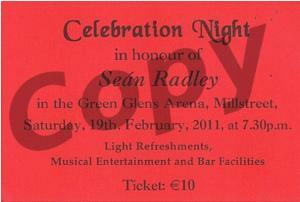 A Celebration Night in honour of Seán Radley in the Green Glens Arena, Millstreet on Saturday, February 19th 2011 at 7.30 p.m. Light Refreshments. 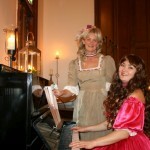 Musical Entertainment and Bar Facilities. 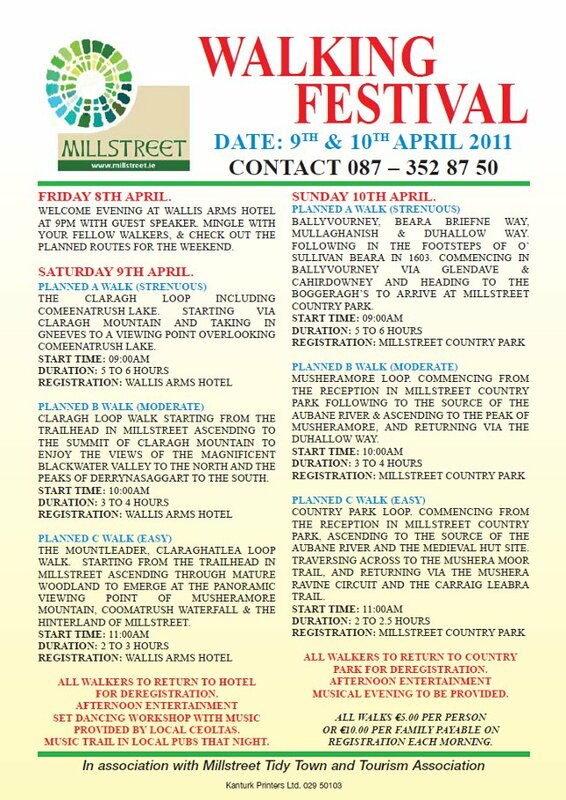 Tickets at €10 are available in shops and public houses in Millstreet as well as from any member of the organising committee. One of the many election posters on display in the Millstreet area. 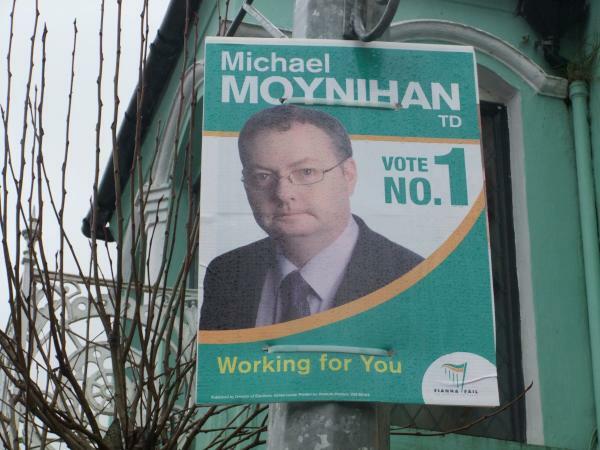 This poster for Michael Moynihan, T. D. (Fianna Fáil) is at the Square, Millstreet. 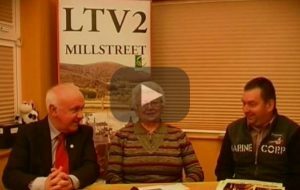 LTV Local Television will broadcast a special Gerneral Election 2011 Programme on Monday, 21st February at 7.30 p.m. (time yet to be fully confirmed) where all participating Candidates who wish to share their thoughts will be given equal time opportunity on the transmission. 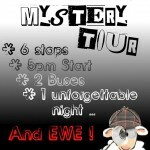 The very same recorded programme will be repeated on the following two nights at the same time. Programme Co-ordinator is LTV's Dan Joe Kelleher. 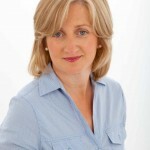 Local FG candidate Áine Collins is launching her campaign next Monday night 31st January at 8pm in the Wallis Arms. MEP Seán Kelly will be in attendance. All are welcome to go along and find out more about her and what she stands for. 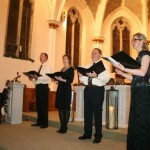 Imbolc 2011 – Smaointe den scoth i mBaile Bhuirne! Information in Irish follows the English version. On the 12th of February eight of the most original and innovative thinkers in Ireland gather in Ballyvourney, Co. Cork, to give a day of talks on the ground-breaking projects they are working on. 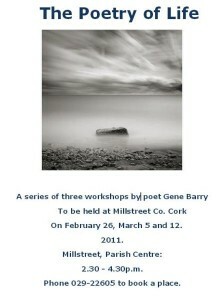 The name of the conference is “Imbolc”, and perhaps the most innovative facet of the whole event is that it is taking place entirely through the medium of the Irish language. 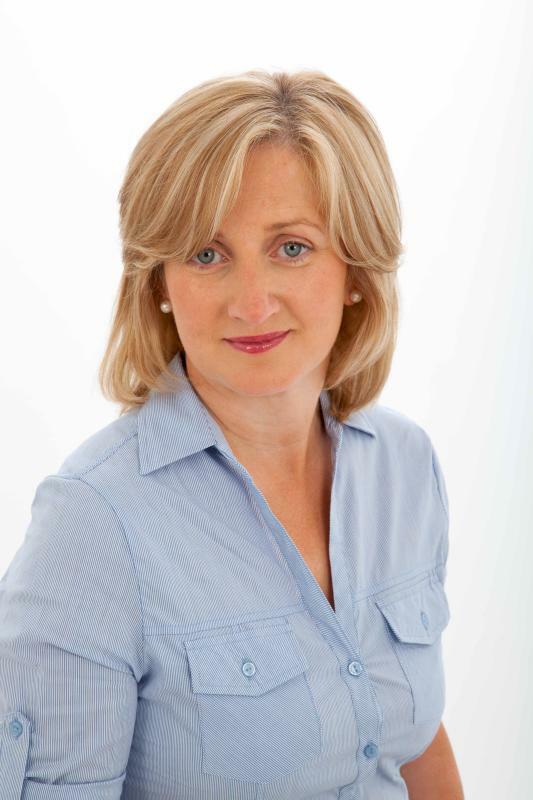 This event is a perfect antidote to the negativity and paralysis that many in Ireland feel at the moment, and our goal is to inspire and challenge the audience to push the borders in their own thinking. 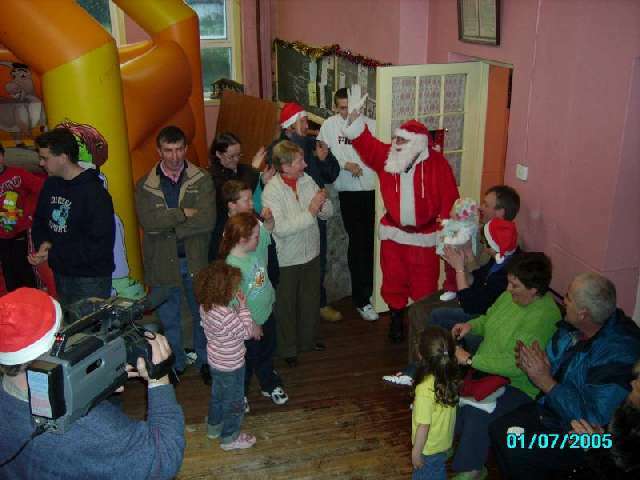 Come along and meet Santa, he’ll be sitting by the fire in the Tea Room, waiting to hear what your little ones would like for Christmas! No fee. No Toys. 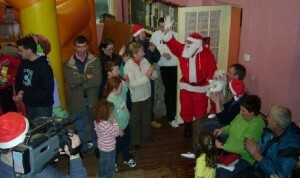 Just Santa & Christmas Magic! Hot Drinks & Cake available. 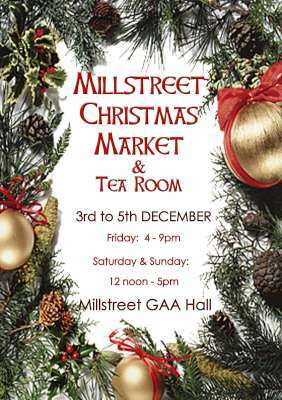 The Christmas Market is on this weekend. We have 27 stands with a huge variety of arts, crafts, fashion, photography, home wear, plants and centre pieces, cards and a million other things I can’t name. 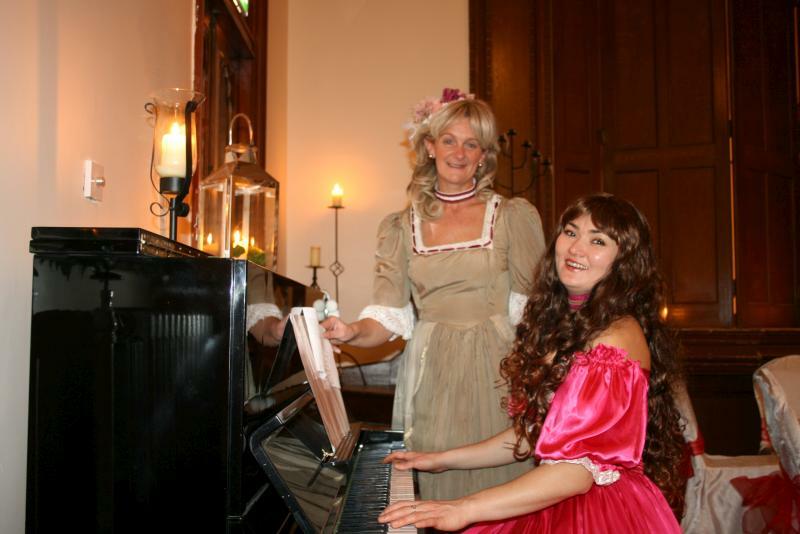 The hall has been decorated festively and we will have a tea room to contemplate your purchases. 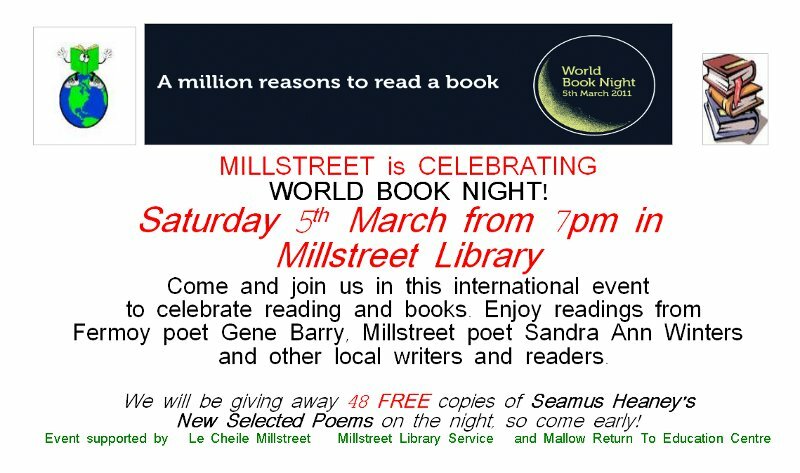 We would really appreciate it if you could drop in on Friday evening after work (from 4 – 9pm). 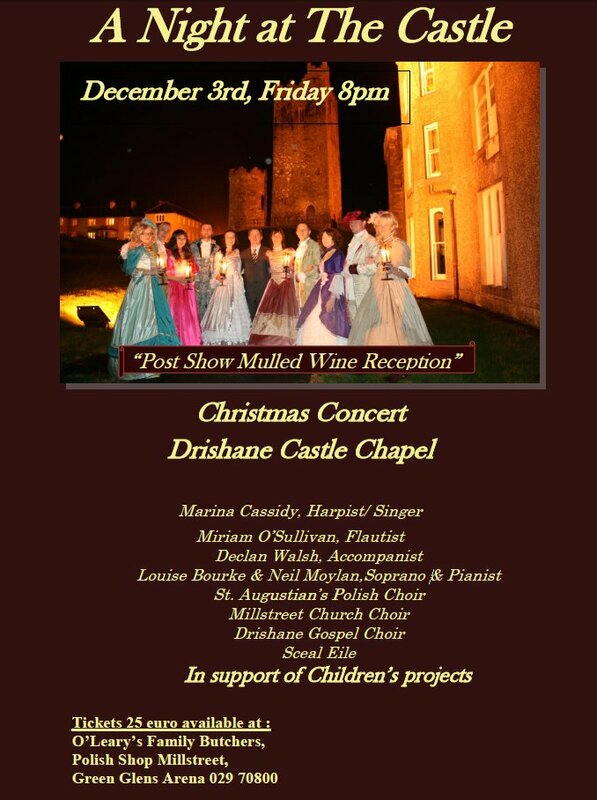 The Ladies and Gentlemen involved in organising the concert in Drishane will be there in full costume and we will have mulled wine waiting for you. While we are not having an official opening it would be great to have lots of support on the first night with the hope that you will spread the word and your friends and relations will pop in over the weekend. 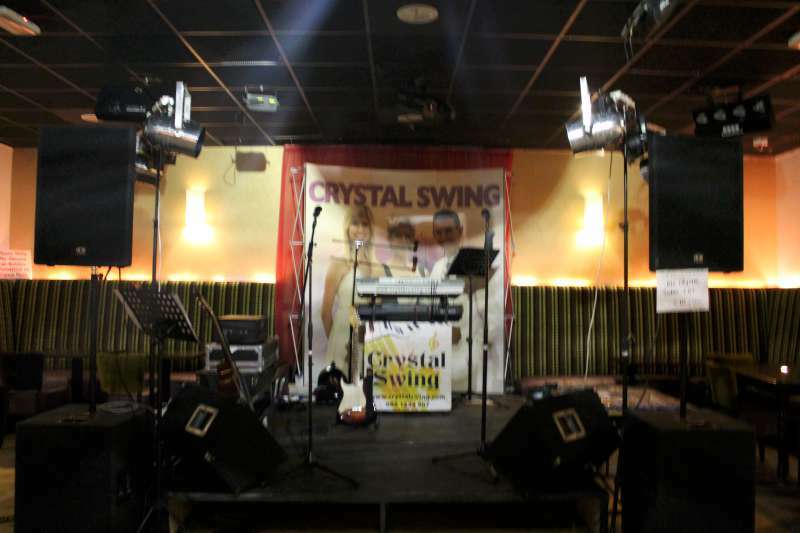 Dancing – Set dancing continues every Monday night at 9.30pm in Aubane Community Centre. All the best Polka sets and Hornpipes are promised in these lively sessions and all are welcome to come along and join in. 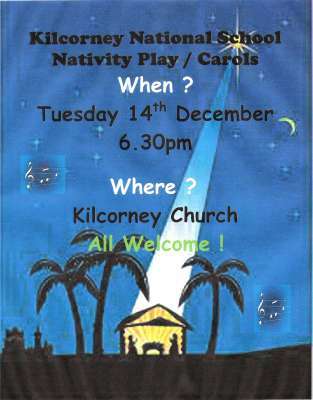 Just to note dancing will continue all through the Christmas period weather permitting, so it is an excellent opportunity to burn off a few mince pies! 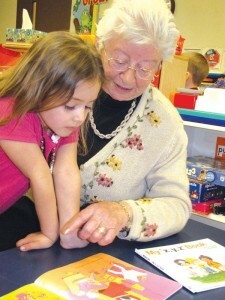 Cards – Fun Card Play takes place every Thursday night at 8.30pm in Aubane Community Centre. All are welcome from novice to expert to partake and have some fun. The organisers of the concert ‘A Night at the Castle’ in Drishane on Friday December 3rd have contacted us to say that “It seems that some people are waiting for the release of a concert for the Sunday afternoon – like last year. There will NOT be a Sunday Concert and please buy your tickets before they are sold out ! 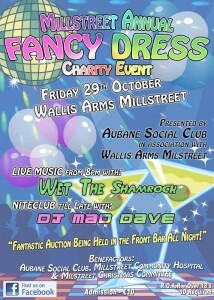 if you cannot pick up tickets beforehand, send an email to <email: Green Glens> and they will help you out. 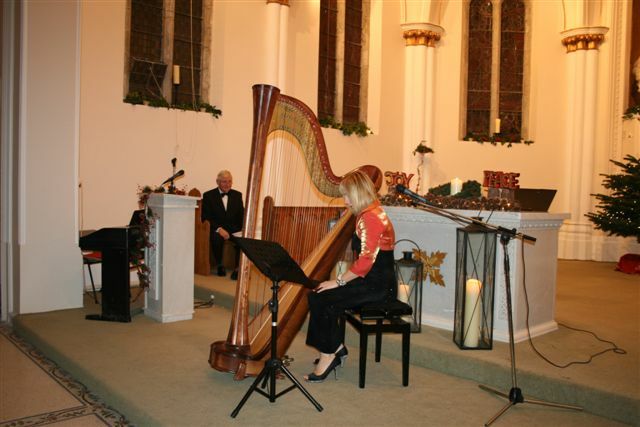 Harpist and singer Marina Cassidy will launch the 2010 Festive Season as part of a full line up of performers in a special benefit evening for children to take place in the recently restored Drishane Castle Chapel, Millstreet on 8 pm Friday December 3rd next. 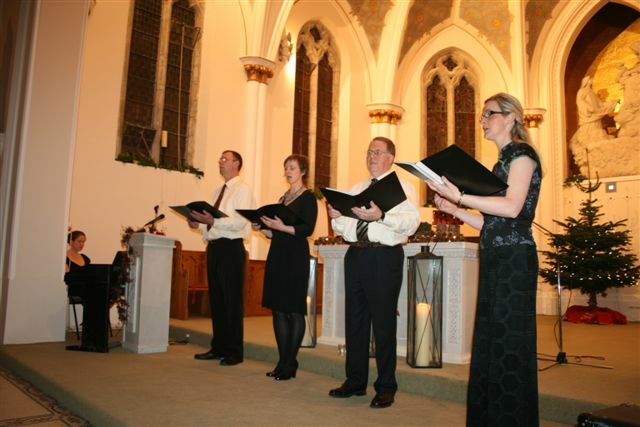 Called “ A Night at the Castle” – 2009 was the inaugural year of this Concert which was an outstanding success. 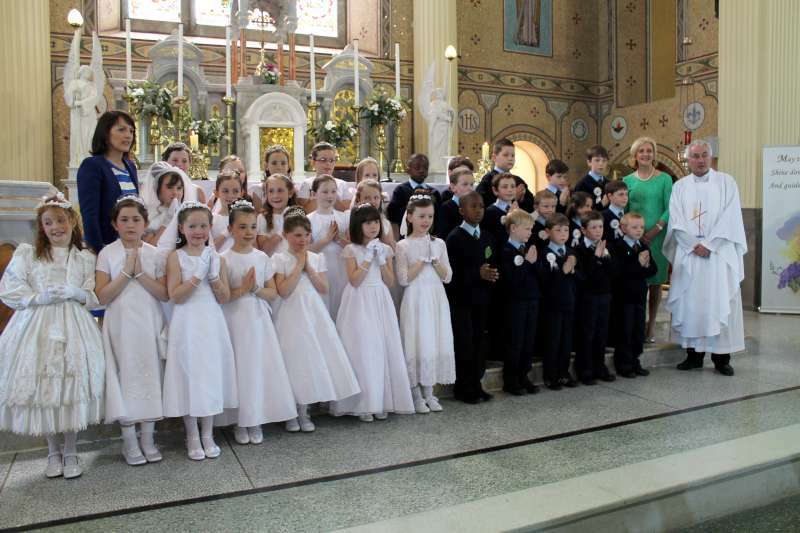 Well known Flautist Miriam O’ Sullivan and Accompanist Declan Walsh will complement Marina to make this a truly memorable evening of music and song, in the beautiful setting of the Chapel of the Little Flower. Drishane Castle African Gospel Choir and many more. 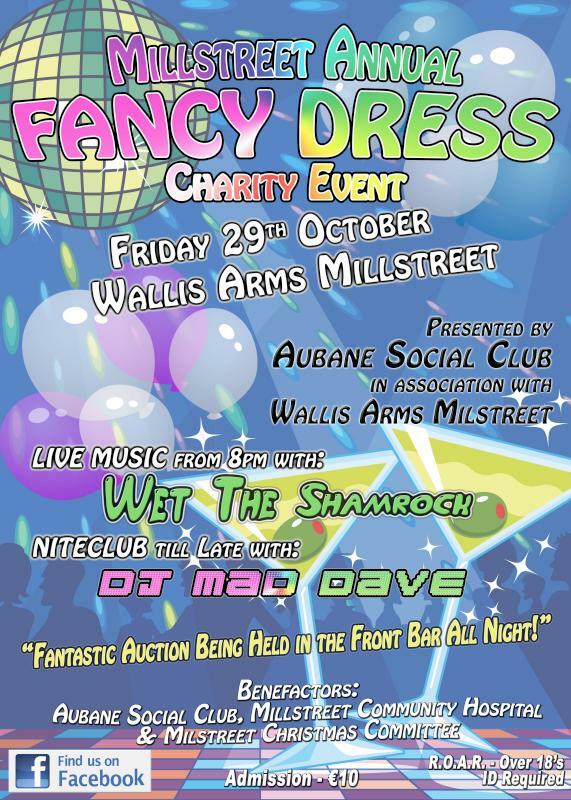 Charities are: Millstreet Community Hospital, Millstreet Christmas Committee, and Aubane Social Club. 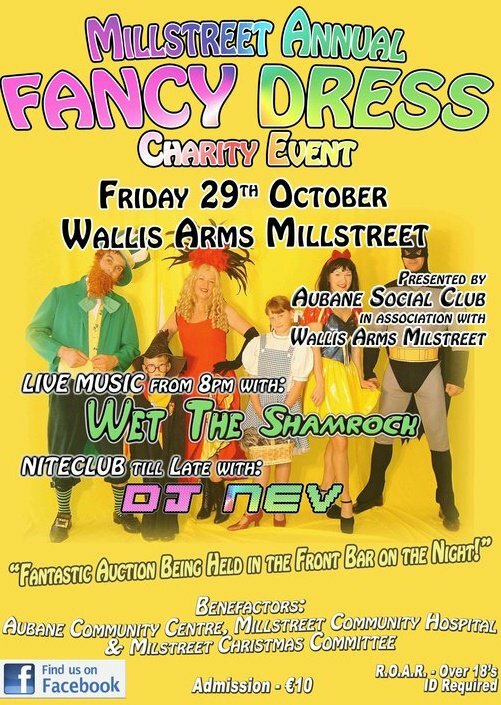 The Owners Pony and Young Riders Charity Show 2010 is being held at the Green Glens, Millstreet from Friday October 22nd to Sunday 24th. The popularity of this show is legendary, probably due in no small measure to the fact it it caters for all levels and abilities. 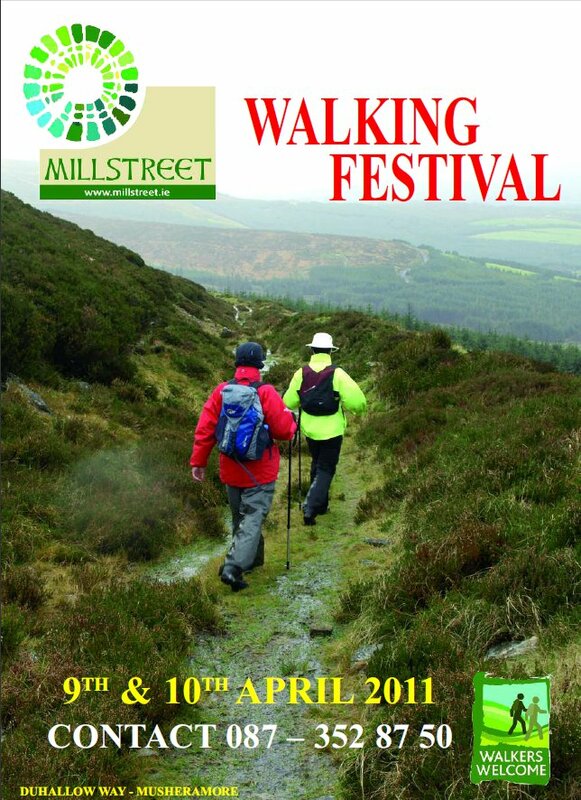 Admission is free to all, so go along and give your support.